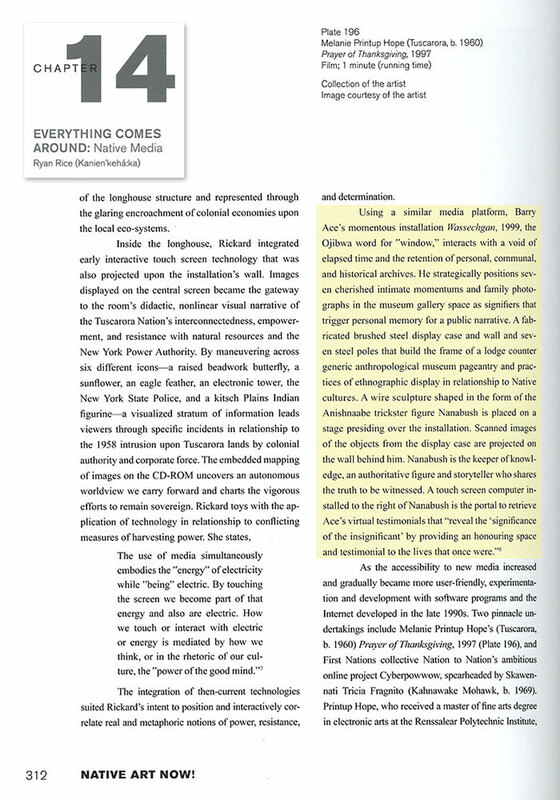 Ace’s early work Wassechgan (1999) has been included in Ryan Rice’s essay for Eiteljorg Museum’s catalogue Native Art Now! 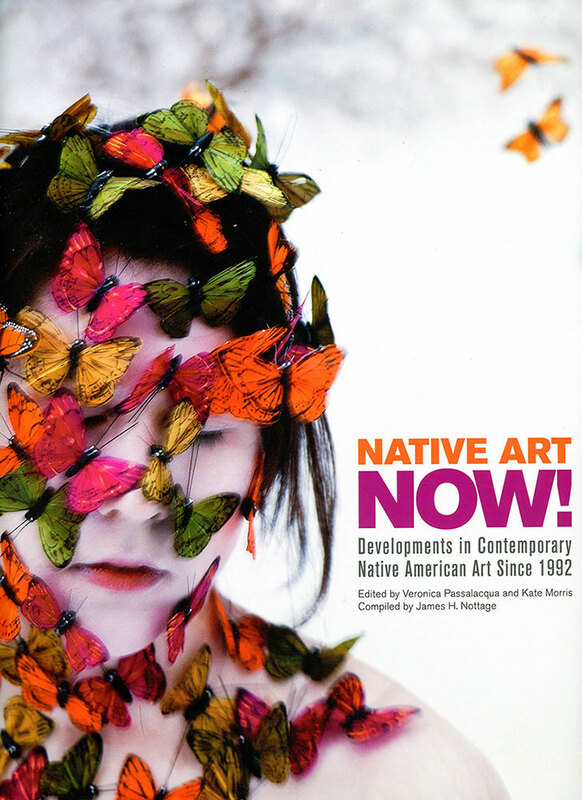 : Developments in Contemporary Native American Art Since 1992. 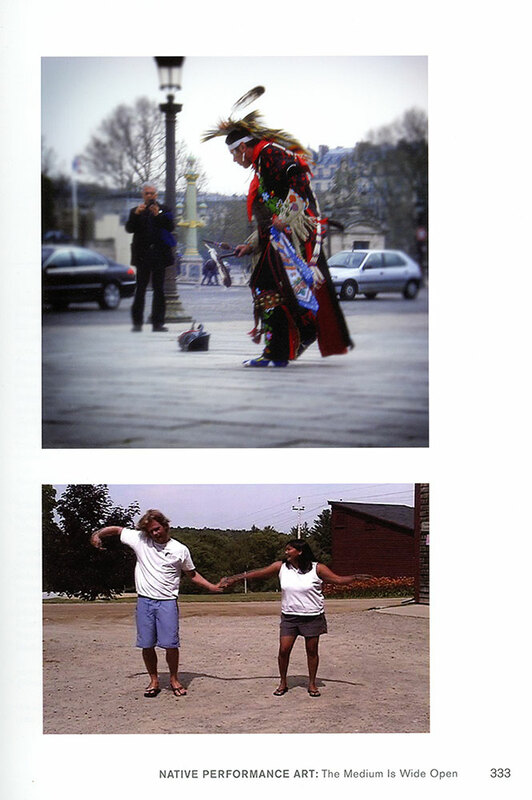 The installation was part of Emergence from the Shadows: First Peoples’ Photographic Perspectives (curator Jeff Thomas), an exhibition at the Canadian Museum of Civilization in 1999. Wassechgan is significant due to its use of an interactive digital kiosk integrated as part of the installation. 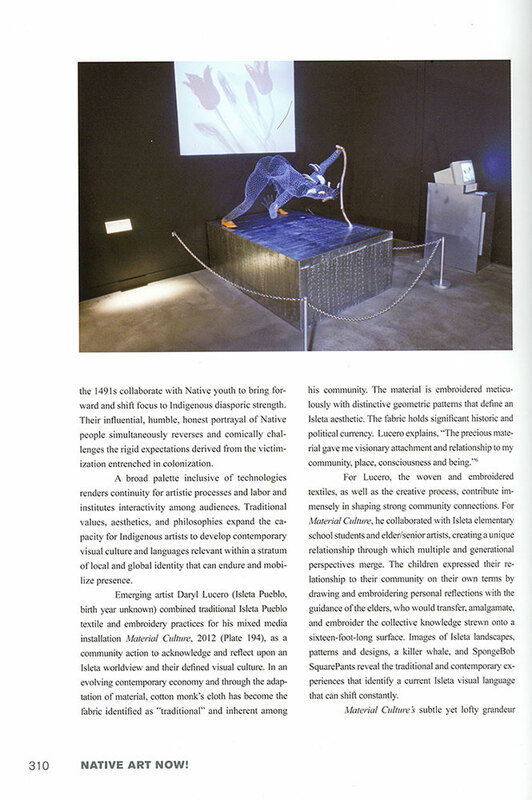 It is an early example of Ace’s emphasis on digital technology as a way to bring forward Anishinaabe teachings into a present day museum exhibition setting. Contained inside the monitor where narratives of 7 individuals important in Ace’s life and whom he believed exemplified the 7 teachings of the Anishinaabe – Wisdom, Love, Respect, Bravery, Honesty, Humility, and Truth. The original interactive work has recently been digitally archived and is now live again (view here). This impressive and comprehensive catalogue is available Eiteljorg online book store. View more on Wassechgan in Early Exhibitions.